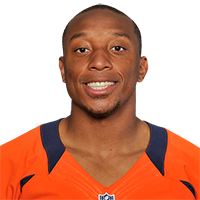 Published: Nov. 25, 2018 at 06:34 p.m.
Denver Broncos cornerback Chris Harris picks off Pittsburgh Steelers quarterback Ben Roethlisberger on a perfect read. Published: Nov. 18, 2018 at 05:05 p.m. Published: Oct. 18, 2018 at 09:12 p.m. Published: Dec. 3, 2017 at 02:23 p.m.
Denver Broncos cornerback Chris Harris Jr. makes diving interception vs. the Miami Dolphins.